King Insurance proudly offers customized restaurant insurance policies in Florida for business owners in Gainesville as well as the surrounding areas. 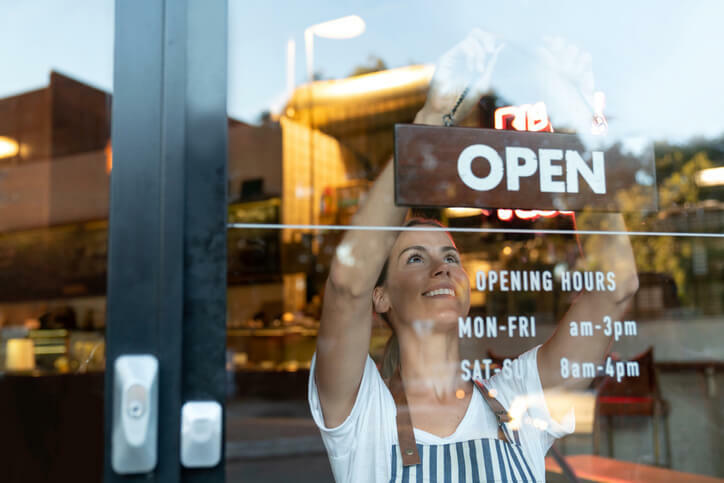 Owners of restaurants of any capacity deserve protection — whether you are just starting out on your journey or you’re a food service veteran, we have coverage for you. Our agents expertly devise personalized insurance policies that cover any risks your restaurant may encounter. Understanding your restaurant or food service business is essential for finding the right insurance for your company. Coverage that is detrimental to one business may not be necessary for the other. The licensed, professional insurance agents with our personalized insurance company take the time to examine your existing coverage as well as any potential risks and liabilities, in order to develop a policy which provides you with the maximum amount of coverage and benefits. Our business owner policies (BOP) are inclusive and encompass the exact coverage you need. Property insurance and commercial general liability insurance are only two of the base options which may be included in your BOP bundle. Tell us more about your restaurant and our agents will pinpoint your business’ ideal coverage. Our agents can include the following types of restaurant coverage to your custom BOP plan. Liquor Liability: this coverage is essential for businesses which serve alcohol. Product Liability: if you’re a BBQ joint serving your own sauces or a top-notch bakery selling fresh-made bagels, you need product protection! Commercial Auto Coverage: this coverage is vital for food trucks and delivery vehicles. Utility Services Coverage: this coverage protects any equipment failure or utility outages that occur to your own equipment, which helps you get back to work as quickly as possible following an issue with utility services. Spoilage Coverage: if your business loses power and, as a result, any product spoils, this coverage helps recover the monetary loss. Employee Dishonesty Coverage: this coverage provides policyholders with protection against any fraudulent activity which occurs at the hands of employees. Equipment Breakdown Coverage: insure your expensive equipment — POS systems, ovens, dishwashers, and more are protected within this coverage type. Our agents are independent, which means we provide you with personalized insurance quotes from numerous carriers to find your ideal coverage. To learn more about how our insurance coverage protects your restaurant, contact an agent. As the needs of your restaurant evolve over time — whether it’s adding new items to the menu due to popular demand or revitalizing the atmosphere to accommodate guests — so, too will your needs for coverage. King Insurance is happy to make flexible your plan so that it can grow alongside your food service business. Maybe your food service adventure starts off as a food truck and blossoms into one of the best sandwich shops in town — we can easily include commercial property insurance to your plan so your new structure is protected. No matter which way your Florida restaurant grows or even downsizes, our agents always remain in contact while providing you with continual coverage. The following Florida food service resources may be of interest to restaurant owners. The licensed agents with King Insurance are proud to create restaurant insurance plans for businesses in Gainesville, Ocala, Tampa, Orlando, Daytona Beach, and Jacksonville, FL. Our agents also hold licensure to insure establishments in Alabama, Georgia, New Jersey, New York, North Carolina, South Carolina, Tennessee, Virginia, and West Virginia.